Burberry and Chanel have been quilting their iconic items for years, becoming quite synonymous with the design detail. Each year the designer houses bring out new quilted styles to continue and strengthen their signature style statement. Long live their quilted legacy. Last year we saw quilted textures come through in smallish doses across retail. This year the trend is completely mainstream, and available across all price points and items. Jackets, coats, vests, bags, wallets, belts, hairbands and footwear. Jackets and coats are the most common quilted items, with bags coming in as a close third. Some items are quilted all over, while others are blocked with quilted pieces. 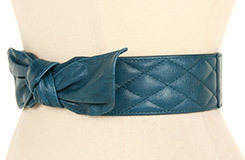 Quilted fabrications range from leather, pleather and cotton, to nylon, velvet and polyester. I like the quilted texture trend. Quilted outerwear tends to be practical, robust and fairly crease-resistant, which is appealing. I like to wear quilted textures in small doses, preferring items that are partially quilted. 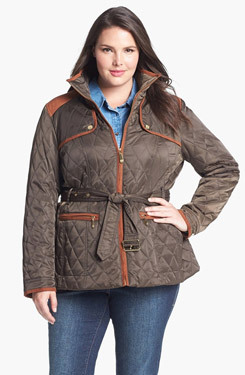 A full on quilted jacket reminds me too much of my horse riding days, when I was at the stables at every opportunity. So I think of that look as gear no matter how you slice and dice it. But I do like fully quilted outerwear on others. As for a fully quilted 2.55 — I’m in. Some of my clients find quilted textures frumpy, or overly equestrian, while others will wear quilted outerwear with pleasure. Over to you. 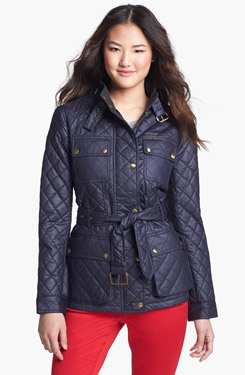 Do you like quilted or partially quilted outerwear? And what about quilted bags, belts and footwear? Do you vote yay or nay? A good question on frumpy and quilting. I think it depends on the styling to be honest. I feel a renewed love for it last year (after joining YLF) and again this year. 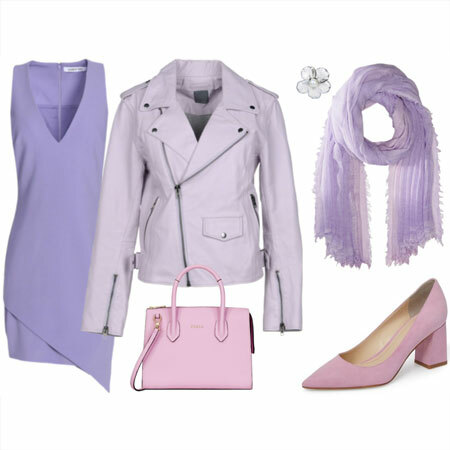 So much so that I recently purchased a purple quilted jacket for fall. Not a chanel as that is out of reach but still cute. I am on the hunt for a chanelesque bag. I love quilted items. All three pairs of shoes look lovely and so is the light grey mid-length jacket from YOOX. I like quilting, but like you, I tend to prefer it isn small doses. I can’t think of a quilted item I own now (except my puffer coat) but at various times I’ve had it on jackets or other items. Love that you are showing this on women with different body types! Don’t own any quilted items. Seems anything I’ve tried with that feature seems to visually add weight and make me appear matronly (I’m thinking quilted jacket). I do like the partially quilted items though, and of course the quilted accessories. I could probably get used to this look, but something about quilted items puts me off for now. There does seem to be a frumpy, utilitarian element to it. I can’t explain it but hope someone else here can, because usually I really appreciate textured items. I can’t think of any quilted item that I own but I don’t have a strong opinion for or against. I think whether it works is very item/person specific. I wouldn’t mind trying on that black bomber or the black boots – or a Chanel quilted bag for that matter! For some reason quilted footwear does not attract me but I like quilting on bags and on jackets – especially when it is done in panels and not all over. My quilted VC coat from last year has received quite a few compliments. I found it via YLF, naturally. While there is no indication of this becoming a problem, I do worry about the quilting stitching coming loose. I don’t mind partially quilted items, or quilted items that are small. A small quilted Channel bag? Yes please. Quilted shorts? No thanks. A fully quilted outerwear jacket like the one above, 3rd from bottom? Maybe. This look, especially when done in patterns or florals, reminds me of pot holders! I’m joining you and other Fabbers who like quilting in small pieces or panels. I’m not very fond of the look on footwear, but for anything else you can count me in. Love quilted outerwear, especially down! I am not a fan of it at all – for now. It just don’t like that amount of texture. 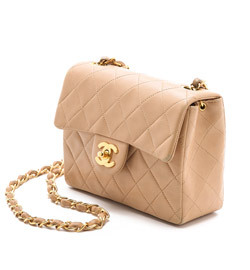 I would embrace a quilted Chanel 2.55, quite literally. Larger quilted items reflect a lot of light, which I find visually distracting, so they will never be a part of my wardrobe for that reason alone. I’m in too. I like the look but it has to be done in moderate doses for me to wear it. I wouldn’t want to wear quilting from head to toe. And I prefer the squares to be small rather than very large quilting – as that has the tendency to look like a comforter on my smaller frame. I’m over the moon about quilted items, with a few exceptions. I used to wear a quilted handbag decades ago but now would not because of all the Chanel knockoffs/fakes and I personally would be uncomfortable if I were wearing a real one. Some years back I had a black fabric quilted tote bag that was so perfect for my needs that I wore it out. It had various gold metallic grommets, chain, lion’s head. No logo. Found it for a quarter in a thrift store. Little children used to yell at me from across the street, designer names. Prada, Chanel, Gucci, whatever they had heard of. I hated this. The other quilted item I don’t care for is the cloth quilted snap front jacket. Too earnestly preppy wannabe to me. Doesn’t suit my mentality. Otherwise, I always like some emphatic element in my clothing, so I quite like it tied down, buckled or grid quilted all over. How much more intensive can you get. I like quilted textures on leather but not fabric. On fabric, it feels either too preppy or too sporty, and I also associate it with puffers, which I don’t wear. On the other hand, quilting on leather looks really luxe to me, and the leather gives it just enough edge. My turquoise leather jacket has quilted shoulder and elbow details. 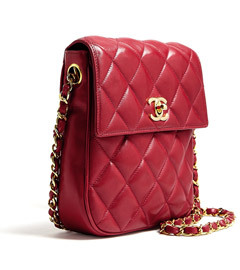 Another one here who likes it in small doses, although I wouldn’t say no to a quilted Chanel bag! I do have a cropped, black quilted jacket that I bought at AT Loft a few years ago. I suppose it falls under the category of gear; I wear it mainly to college football games in the fall. You know, to clarify, I guess I prefer quilting on luxury fabrics like leather or maybe silk, so as to combine a sporty utilitarian look with a non-sporty fabric or, in the case of leather, a non-sporty style. Well I was about to say quilting isn’t my thing but then I remembered my favorite winter coat is quilted. It’s hot pink and over 5 years old and I still love it as much today as the day my mom bought it for me. I am not overly drawn to quilted items though. I’m a cautious yay. I would not rule out a quilted item but I’m unlikely to go in search of the perfect piece. I have some black ballet flats that are quilted suede so I guess I’m in. I like the diamond pattern a lot. Quilted jackets might seem sporty buy I find the quilted bags very dressy! 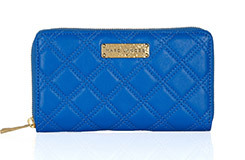 I have two quilted handbags – my red Nine West one and my newer cobalt/cream one. 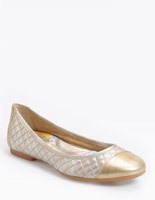 I also have quilted cream/black ballet flats. I like quilted jackets but don’t think I’d want a full length one. Maybe three years ago now I purchased a partially quilted black moto jacket (quilting on a yolk, a peplum / fitted piece around the waist and quilting on elbow patches. I love the juxtaposition of the black leather biker vibe with the more fem quilted elements. a really versatile jacket! I like quilting as a bit of detailing that adds interest to a structured garment. An all-over quilted look usually isn’t appealing to me as it can easily read bedspread, gear, frump or dated to my eye that has seen this trend in several cycles. That said, today’s versions to seem to have a bit of oomph that the older versions may have lacked, probably related to the overall fabrication and shape of the garment. Last year I got a partially quilted leather jacket by Sam Edelman (your pick) that I think looks really nice. I love the quilted look on others (exhibits A and B – your 2.55 bag and Goldenpig’s Ms. Scarlett), but it’s not for me. As strange as it sounds, there’s something in the way it feels that throws me off. I used to not be a fan of quilted looks; they seemed fussy/frumpy and also “too equestrian,” like you mentioned, Angie. But the look has grown on me over time and I can now appreciate its classic appeal. I’m still not a huge fan, but I would consider a quilted jacket for casual wear. I’m a fan, but in small doses – shoes, bags, and partial quilting on clothing items. I have one fully quilted Burberry jacket, and while it’s very useful, it’s not my favorite topper. What kind of bag is the lady in leather holding? That is my kind of bag. I’m high end bag challenged, so the answer to this question may be obvious to some of you. I like quilted textures but personally find them unflattering for me in the form of a coat or jacket. They add bulk in my shoulders and I already struggle to downplay that part of my body. I would love a quilted bag or even in a pair of flats! So interesting! And quite a few of us prefer quilting in small doses. Suz and Thistle, I have an extremely warm down puffer too (that I love) – but I don’t think of that as the same style of quilting. It’s not squares or diamonds if you know what I mean. Less iconic and fashionable to my eye. T-Rex, I’m not sure about the bag. 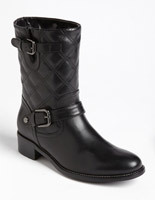 I really like the quilted look and would happily sport a quilted jacket or footwear. I’ll pass on quilted bottoms though. I like the sporty vibe of quilted items. I like quilting in bags, I have two. As far ad jackets / outerwear, not so much. I think it looks fuzzy and too busy for my taste. Most definitely yay for me! I bought a black faux leather partially quilted jacket from H&M for approx $75 a couple of years ago, and not only has the jacket held up very well, it still looks stunning and the price was unbeatable! I’ve had people mistake it for Chanel too! It’s a ‘fluid’ (I’m using the term too now) fitted jacket, structured at the shoulders with a cinched waist in a moto style. I also own a pair of brown partially quilted boots, and I wore these all winter long! To my eye, they look stylish and I believe that the quilt texture keep the boots from looking worn or tired for a lot longer. I wear boots a lot in winters and no matter what the price I’ve paid for them, after their season they start to look a little worn, either with a slight fade in the leather, or creases (even when I stuff them). This particular quilted pair though is doing very well and I can’t wait to wear them again! I also have a black quilted Chanel clutch which I adore and hope to find a matching bag for it this year! I’m excited that this trend is here – my purple quilted Barbour and my Z-Quilt Zella will be out and about a lot this year, I’m sure. I also really love that BCBG coat, but I really don’t need it. I love the bags and I LOVE those quilted shoes. I think I will hang back on the quilted clothing, though. I feel like it adds bulk, which is the last thing I need! I feel more comfortable when quilting is draped over the bed. I will not partake in this trend. My initial reaction is that I prefer quilting on accessories. It feels a bit more unexpected. I had a really cute pair of slipper flats that were black suede with hot pink stitching and heels…loved them! I don’t like bulk, so I’m not drawn to the coats at all…but never say never! Well, considering I just bought a Chanel purse, count me in, I’m fully into quilting! I would love to get a Burberry quilted jacket too, but wonder if that might be too much with my quilted purse. I love all the other quilted pieces, but I think I draw the line at those shorts, though. I’m iffy on quilting. 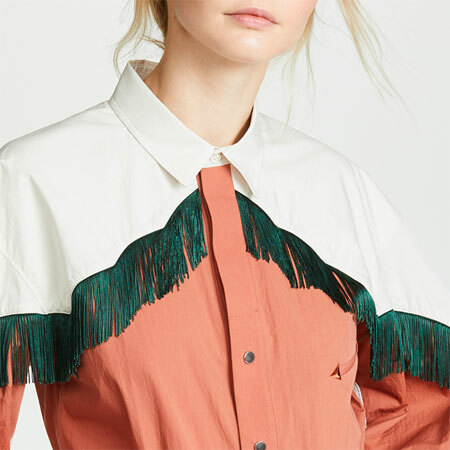 It can very easily make a coat look either too equestrian, like you say, or else make you look like you’re wearing a re-purposed bedspread. Leather quilted items can resemble car upholstery (not in a good way). 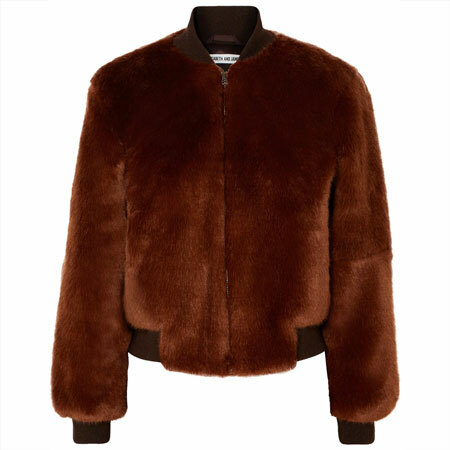 It can make a coat or jacket look a little puffy and bulky. I’m not going to say a definite nay, but I would approach quilted fabric with caution. I find partially quilted items more appealing than fully quilted ones. The one place I think quilting does look pretty cool is on handbags. Go figure, because I’m not really a handbag fancier! I’ve noticed the quilted trend and quite like it! Not sure I’d go for a jacket that’s all over quilted because I’d worry it would make me look bigger than I am. But I love it as a style element, and even all over in trendy pieces. 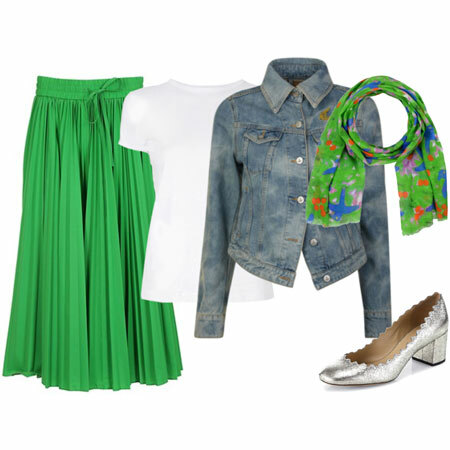 That ASOS jacket and the Riley flats are adorable and i’d wear them both in a heartbeat! Nothing frumpy about those. Ooooooooh I just realized thanks to this informative article that all quilt is not down! The gorgeous Burberry jacket featured above that I bought is a quilted coat in a ‘technical’ material according to the website which appears to be a polyester/polyamide blend. And I love seeing the quilting on unusual items like shorts and others. Like the quilting in small doses, leather quilting speaks to me more than the quilting on fabric. Coach came out with a Chanel-type type handbag that sold out before I could get to the store! A quilted buttery leather, totally want that in a handbag. And I’d love to find a two tone ballerina with that quilting as well. Have to really save my dollars for a vintage real Chanel. I like quilting in small doses, especially on solid colors and slightly shiny fabric. It can remind me too much of potholders it is on floral cotton. I’m in! I’ve been looking for a quilted jacket for the last year or so, but so far, they have not liked me. I did try the Vince Camuto jacket you show above, and it was another thumbs down. But I’m open to trying again. As others have said, in small doses please. I do have a lovely Anne Klein quilted black bag – very Chanel like. A girl can dream and find compromises. I’m ok with partially quilting on jackets (that Burberry black leather is lovely – like the texture it adds), but not on shoes. Too reminiscent of shoes I sported as a youngster. I’m into quilting. I had designs for a quilted dress in my head when I was 10 or so (and already unable to maintain my own body temperature). Used to think about it a lot walking home from school, lol. Also, one of my favourite all time dresses was a long quilted pinafore I had when I was maybe 4. I remember going to I. Magnin and getting it with my mum and dad. Last winter the knitting shop also had the most beautiful quilted white skirt shot with gold threads. *Sigh*. It was just part of the display and not for sale. I didn’t realise it was trending though. That’s interesting. I do think it’s pretty easy to get frumpy with quilting – step back from the quilted barn jackets people! That’s so 1989! Hehe. Yay, but in small doses. I have a quilted KS handbag with a smooth flap closure. I like the mix of smooth/quilted. I wouldn’t like it as much if it were all-over quilted. I really like the textural interest of quilting, especially when contrasted with smooth in the same garment or outfit. I have a small grey quilted leather cross-body bag, but keep thinking about a fitted quilted coat with knit panels I saw at NAS, except it is black and I’d rather have a different color. Yay as long as the quilting is texture and not too bulky. Hmmm… I’ll take it in very small doses. I have a Zara jacket with quilted shoulders but they are not traditional quilts, it’s more like horizontal lines such as in moto racing jackets. I also have a faux Chanel quilted bag but it’s still sitting NWT … it’s from DKNY … so maybe, I’m finding this trend difficult to integrate into my style. Never really thought about it but I have a couple of rain jackets that are quilted and I used to have some cute boots that were quilted so I guess I’m drawn to it. I can see where one might think it is frumpy. I like quilting, in moderation, too. I have a Chanel bag that I absolutely love, but otherwise I don’t think I own anything else quilted. I would consider some ballet flats or a jacket with quilting detail, though. Wow! I guess I like quilting quite a bit more than most. I like the textural interest it gives to solid colors. I have a plum quilted jacket that didn’t see much wear last year; maybe I’ll pull it out. I don’t know equestrian so I can’t make that association, my potholders are silicone, and I think I have a blind spot for what is frumpy so I guess that explains my taste. I do worry about quilting threads coming out, however. I just received a quilted North Face jacket from NAS and it is just adorable…I really like the look…Can’t wait to wear this pretty..
It’s a cautious yay here too. On the right piece of course. Wow! I could be quilted from head to toe and still love it! Overdoing it? Yes, but every item displayed here makes me want a piece of it. I love the black Burberry jacket and the Ugg and Aquatalia footwear. For me, partial quilting on the jacket is the way to go, so less of a statement is made. Quilted textures seem elegant, refined and yet, casual, at the same time. I like that. Wow, what a coincidence! I’m wearing my quilted black flats today. I got them from DSW earlier this year on clearance, and I have been wearing them almost non-stop. 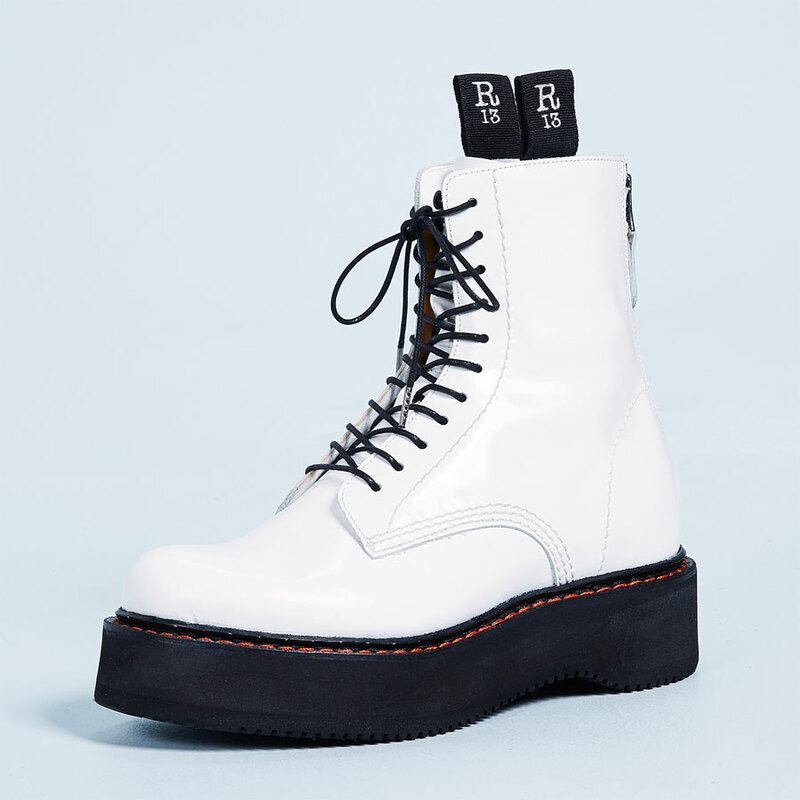 They look very similar to the flat you used in the illustration, Angie, except that the toe cap is patent leather and they also have a vertical strip of leather at the heel. I love how classic and sophisticated they look. I will definitely be looking for other quilted items for fall. 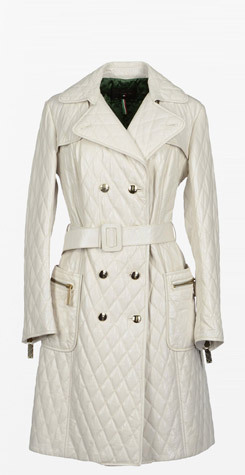 That cream quilted coat made my heart go pitter-pat … if it had a hood and cost about 1/10th the price I would be all over it! I do love a quilted coat. I have a pleather jacket with quilting on the sleeves, so I am a ‘Yay’. I actually really like this trend, especially with leather. Lucky showed an a-line leather skirt with a quilted inset panel last winter and I loved it. I think it’s a great way to add interest. Not a huge fan of quilting, but I do like the caning pattern on Dior Cannage bags. I also like the Coach Phoebe with the “gathered twist” quilting pattern. Not a big fan of quilting on clothing, but I’d cut a bi*ch for a 2.55. I had to buy a quilted coat last year for my now-frequent trips to New York in the winter. My kids call it my “fat coat.” There’s a reason for that. A 2.55 is the only thing I think I would wear quilted. But that will probably never happen. I strongly considered buying a leather jacket with quilted panels on it at NAS, though. 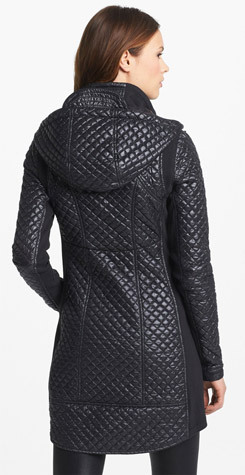 It’s the Hinge quilted leather jacket in gray; with a peplum at the back. I thought if I were going to buy a leather jacket, that would be it. I loved the quilted look on the panels. It wasn’t puffy at all, just textured with the diamond-pattern stitching. I’d have to say I’m in the camp that likes quilting in doses. And I’m with Diane G–for whatever reason, I’m not crazy about quilting on my shoes. On others, fine. Not so much for myself. I love the bags and like the shoes. I don’t care for the jackets and really don’t like the coats. Too many bad memories of the old “Michalin Man” puffy quilted coats back in the 80’s (I think). I love the quilted detail on the three shoes you have featured. I do have a vintage 2.55 in suede and that it not a question of, to quilt or not to quilt. The quilting on coats has always looked a bit trustafarian to me and the cream trench looks that way to my eye too. I think it works well on the other jackets but the bomber jackets with quilting have to be very quality or else, I think they run the risk of looking like a cheap trend mimicking an iconic feature and not very well. If the stitching does not have integrity, the item of clothing doesn’t either. The leather on leather look is also one I wouldn’t wear but looks good on a much younger person, as the one you have shown and the modernity of her dress also helps the quilting get a new context. 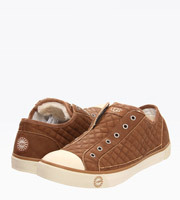 Did I say I LOVE THE Quilted sneakers? I love that longer BCBG quilted coat. It has a hood! I think that might be the coat I’ve been looking for! I wasn’t a fan of any type of quilting in the past, but this has changed over the last four years. Don’t ask me how, but this proves once again that style preferences do change over time. In general, I still prefer partly quilted items of clothing, and I love fully quilted accessoires (like the Chanel bag, and quilted sneakers or ballet flats). But I’m also really liking the look of that cream quilted trench in the last photo, so that’s already one exception to that “rule”. To quoin a Rachylou phrase: back away from quilted coats with hoods. All those who had a ‘parka’ first time round shouldn’t need reminding. I am sure Coco would be horrified by hoods on quilted coats. Am I alone in this opinion? I love quilting but I have the same issue: I tried on a gorgeous-looking quilted jacket in Republic but I hated the look of it on, just like I (so far!) have a bit of an aversion to the quilted jackets pictured. Perhaps the quilted jacket has bad associations dating back to my childhood! On the other hand, I would not say that for me quilting has to be partial — it just has to be more obviously new or now than it tends to look in a standard jacket. Perhaps my eye will adjust to the standard quilted jacket in time — childhood associations permitting. If I didn’t already have a nice moto I would really consider adding a quilted one. I like quilted bags too. I love quilted leather goods. They’re just so Chanel whether faux or real!